Nasdaq has acquired 844,071 shares in the Oslo Stock Exchange (Oslo Børs VPS), advancing what it calls “the best solution” to support the Norwegian capital market, reports Jane Connolly. Following the purchases, made at NOK 158 ($18.58) per share, 37% of Oslo Børs VPS shares are now owned by Nasdaq or are subject to pre-commitments to accept the offer. The news comes three days after the Financial Supervisory Authority of Norway made a recommendation to the Ministry of Finance to approve both Nasdaq and rival Euronext as qualified owners of Oslo Børs VPS. Last month Nasdaq – the second-largest stock exchange in the world by market capitalisation – upped its offer to $795 million in response to a counter bid by Euronext. 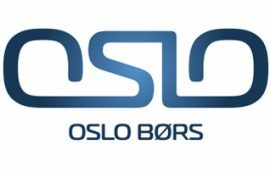 “As we continue to pursue our ambition to acquire Oslo Børs VPS, we are pleased to have been deemed fit and proper by the Norwegian Financial Supervisory Authority,” says Lauri Rosendahl, president Nasdaq Nordic. The Board of Oslo Børs VPS has unanimously recommended Nasdaq’s offer and it has also gained the support of shareholders representing more than one-third of Oslo Børs VPS’ shares. Earlier this week, the Norwegian Financial Supervisory Authority recommended that Euronext should be approved as a suitable owner of up to 100% of the capital of Oslo Børs VPS, as applied for, without ownership or other restrictions. Euronext is also awaiting approval from the Norwegian Ministry of Finance.